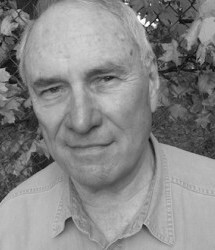 Gerald Duff is a member of the Texas Institute of Letters and has published 19 books, including novels, short story collections, poetry and non-fiction, all of which have brought him well-deserved comparison to Elmore Leonard, Carl Hiaasen, Calvin Trillin, Flannery O’Connor, and William Faulkner. 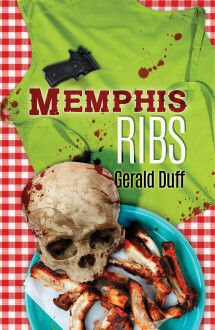 Memphis Ribs is his unforgettable tale of deception, crime, and barbecue. His stories have been cited in the Best American Short Fiction, the Pushcart Prizes, and the Editors’ Choice: The Best American Fiction. Duff grew up in two parts of Texas: the petro-chemical area of the Gulf Coast, and the pine barrens of Deep East Texas, which made for two-mindedness and a bifurcated view of the world, as he demonstrates in his fiction. His characters are deeply rooted both in the past and in the present, and they struggle fiercely and comically in a quest to achieve escape velocity from places which are not their homes. He has has worked as a hand in the oil fields and the cotton fields, as a janitor, a TV camera man, a professor of English, a college dean, and as a bit actor in television drama. He has made up stories all his life and written wherever he’s been. He’s still doing that. Memphis homicide detectives J.W. Ragsdale and Tyrone Walker are back... taking on a cowboy preacher, a vicious street gang, and a killer who talks to ghosts. Memphis homicide cop JW Ragsdale has to solve the murder of a socialite, a drunken conventioneer, and a gang leader just as tourists are arriving in droves for the International BBQ contest and Cotton Carnival. It's a wild tale of deception, crime, and Southern barbecue. With his unerring ear for dialect, and his artful filleting of the Delta social order…Gerald Duff slow-roasts a tangy tale of murder, gang warfare, crack cocaine, and barbecue. Gerald Duff has a great ear for dialect and a wickedly accurate knowledge of the Delta social system.